Scientists using the camera aboard NASA's Lunar Reconnaissance Orbiter are acquiring stereo images of the moon in high resolution (0.5 to 2 meters/pixel) that provide 3-D views of the surface from which high resolution topographic maps are made. The Lunar Reconnaissance Orbiter Camera Narrow Angle Camera (LROC NAC) team from the University of Arizona and Arizona State University are currently developing a processing system to automatically generate anaglyphs from most of these stereo pairs. An anaglyph is an image that can be viewed in 3-D using red-blue/green glasses. LROC acquires stereo images by targeting a location on the ground and taking an image from one angle on one orbit, and from a different angle on a subsequent orbit. 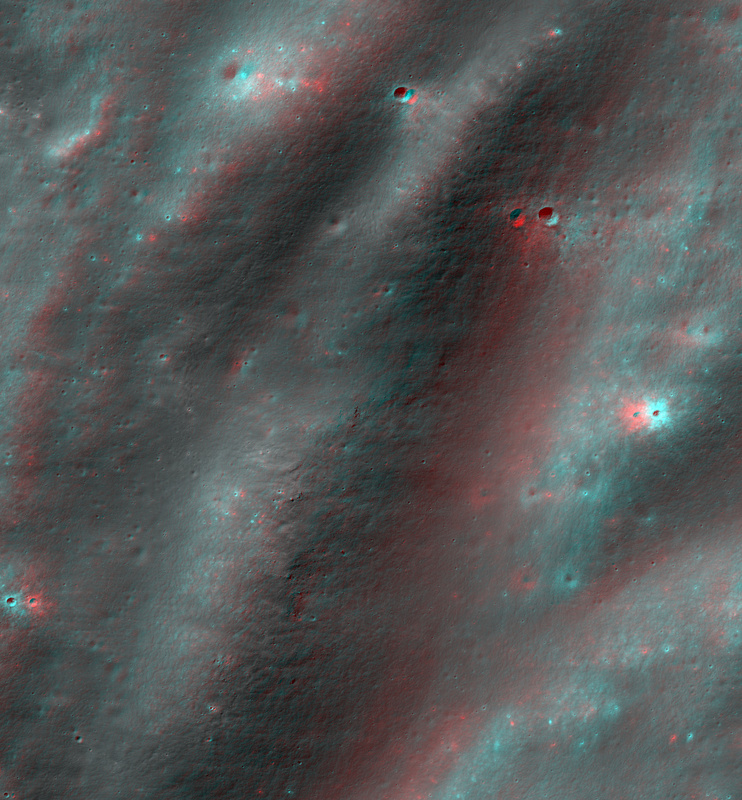 Anaglyphs are used to better understand the 3-D structure of the lunar surface. 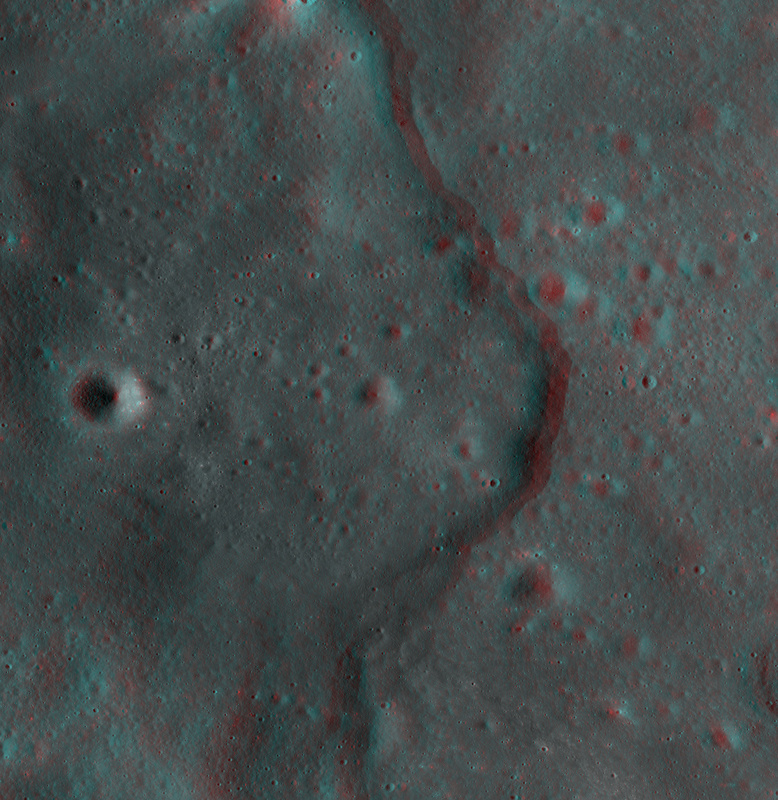 The LROC NAC anaglyphs make lunar features such as craters, volcanic flows, lava tubes and tectonic features jump out in 3-D. LROC NAC anaglyphs will make detailed images of the moon's surface accessible in 3-D to the general public. The anaglyphs will be released through the LROC web site athttp://lroc.sese.asu.edu/ and the NASA LRO web site at www.nasa.gov/lro as they become available. 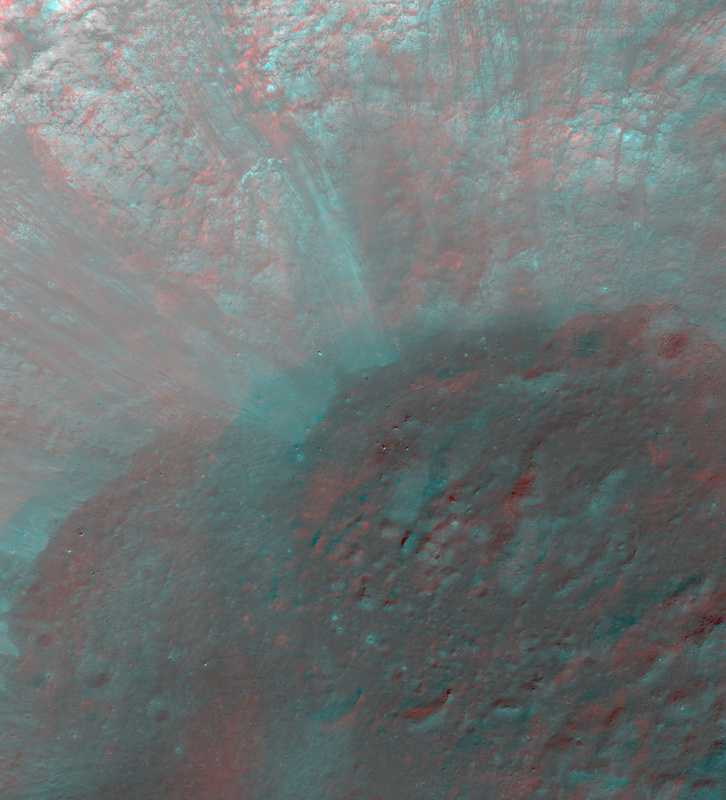 Janssen K is a roughly 12-kilometer-diameter crater on the floor of the large Janssen Crater. Several debris flows can be seen running down the walls of the crater. 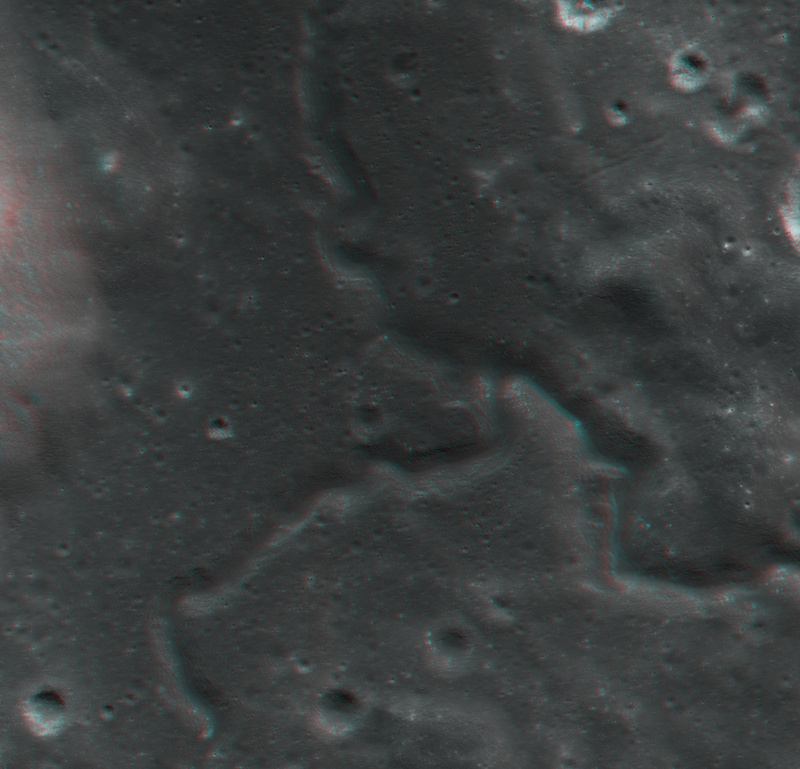 An ancient channel formed as massive eruptions of very fluid lava poured across the surface of the moon. The Apollo 15 astronauts landed on the edge of a Hadley Rille. Ancient radial scars of ejecta extend out from the Orientale basin for hundreds of kilometers and consist of aligned craters and massive dune-like forms. They formed as streamers of lunar rock thrown out from the Orientale impact and crashed back to the surface.